Compared to most other forms of communication, VoIP is a relatively new medium that has only been around since the 1990s. And unlike traditional landlines, VoIP has rapidly evolved to keep up with not only the demands of customers but also technology that continues to make it a popular communication platform. How exactly have these services evolved? Here’s a closer look at how VoIP has grown throughout the years. Before we get started, let’s have a brief recap of what exactly VoIP and its main functions are. VoIP is an acronym for voice over Internet protocol, and it transmits voice “data packets” from one IP address to another over the Internet. In short, VoIP allows users to make calls and perform other communication functions, such as voicemail and call forwarding, over the Internet. When using a VoIP service, your voice is actually converted into digital data (Internet packets) that travel online via fiber optic, DSL or cable lines to another IP address. Through a VoIP connection, you can make and receive calls from your computer, mobile phone or softphone (software) and a headset. 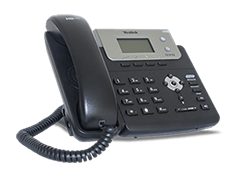 There are also a number of VoIP providers who make hardware products that allow you to connect your existing analog phone (base station and two to five handsets) to the device, which then lets you use that phone as you had before. October 29, 1969: Although J.C.R. Licklider, a professor at M.I.T., first proposed a “galactic network” of computers that could talk to each other in 1962, the first message over the Internet occurred on this date between UCLA Professor Leonard Kleinrock and his student and programmer, Charley Kline, over the ARPANET, one of the world’s first computer networks. 1989 was important for another reason as well: It was the year Alon Cohen and Lior Haramaty founded VocalTec. Originally, the company conducted research on how to commercialize products that would provide audio and video capabilities for personal computers and over computer networks. One of the company’s first products was a PC sound card (SpeechBoard TM) that would assist the visually impaired community in Israel by providing text-to-speech software. The second product was The CAT, which offered audio capabilities for PCs in 1993. This led to the creation of hardware and software that enabled real-time voice conversations over local and wide area computer networks. On Feb. 10, 1995, the “Internet Phone“ was officially launched with the article “Hello World! Audible Chats on the Internet” in The Wall Street Journal. Following the release of the first-ever VoIP application, VocalTec would go on to offer Internet voicemail applications in 1996, and computer-to-telephone and telephone-to-telephone calling capacities for VoIP in 1998. By the end of the decade, there were three IP switch manufacturers that introduced VoIP switching software as standard in their routing equipment. VocalTec is now a part of MagicJack after being a part of a reverse takeover in 2010. In 2000, the peer-to-peer file sharing application Kazaa was founded by Niklas Zennström and Janus Friis. These entrepreneurs would launch a beta version of Skype in 2003. The application not only offered voice call features online but also a video chat by using the same type of peer-to-peer networking that Kazaa was built upon. By relying on peer-to-peer technology, fast and reliable calls could be made to anyone else in the world. The best part was that this could be accomplished for free, and the quality was amazing as well. Skype was quickly followed by the launch of Vonage in 2001. Founded by Jeffrey A. Citron, Vonage became the first VoIP service platform to offer 911 calls in 2013 and now has more than 2.5 million subscribers worldwide. Another major player that entered the online telephony market is Google Voice. Originally founded as GrandCentral by Craig Walker and Vincent Paquet in 2005, Google acquired the company in 2007 and included the service as an add-on for Gmail users so they could check their voicemails through their inbox during beta testing. By 2010, Gmail users could make calls in the U.S. and Canada. Google Voice has since been integrated into Google+ and Google Hangouts to become its own standalone feature that offers call forwarding, voice and text messaging, and voicemail. Not to be left out, big cable companies have since entered the VoIP marketplace as well. Despite Cox Communications being the first cable company to provide telecommunication services back in 1993, the largest cable company in the country, Comcast, didn’t begin to offer VoIP services until 2005. In the early days of VoIP, there were a number of concerns that hindered its adoption, including poor call quality thanks to dial-up phone connections that couldn’t handle the data traffic. A bigger problem was that these lines were part of the public switched telephone network (PSTN). This meant you couldn’t use the phone and Internet at the same time. Users resolved this problem by adding a second landline. However, some companies also began to produce equipment that “switched” between the Internet and telephone. For example, if an incoming call came in, you would get kicked offline to answer it. Thankfully, consumers were able to replace dial-up connections with broadband. In fact, between 2000 and 2001, broadband subscriptions increased by 50%. By 2010, more than 65% of U.S. households were using broadband. For VoIP users, this meant that calls became clearer. It also meant that VoIP could become more flexible and reliable than landlines. VoIP services also became more affordable, and users could contact anyone in the world for next to nothing. This development opened the door for numerous full-service VoIP systems to enter the market and offer features like unlimited domestic calling, voicemail, web conferencing and faxes that could be handled for one flat monthly rate. With the usage of mobile devices exploding, VoIP services now allow customers to send or receive phone calls, check their voicemails or host conference calls directly through their smartphone. This means mobility is no longer a challenge for VoIP users. Even more interesting is the fact that thanks to Bluetooth and near-field communication (NFC), users can connect their VoIP service to smart devices in their home or office. 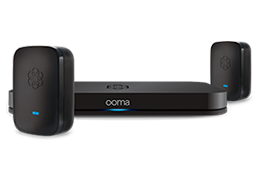 For example, if you have an Ooma Telo, you can initiate calls with Amazon Echo or receive a call or text on your mobile when your Nest smoke alarm goes off. These smart home integrations provide safety and convenience to customers that goes well above and beyond the typical home phone service. POTS (plain old telephone service) after being pushed by companies like AT&T and Verizon. This means landlines will be completed with Internet Protocol-based systems, and more and more consumers will be able to take advantage of these value-added services. Considering that 67% of Americans have adopted broadband, along with an increase in “smartphone-only” adults, there really isn’t a need to offer POTS. Once they’re no longer tied to copper phone lines, users can expect even faster and stronger VoIP services that will simplify communication and keep expenses low. Furthermore, VoIP has enjoyed a steady increase over the years. In 2003, VoIP accounted for 25% of all voice calls. Vonage, for example, was able to obtain 1.9 million subscribers by 2006. Within five years, VoIP reached more than 130 million subscribers, and VoIP eclipsed 150 million at the end of 2012. The number of VoIP subscribers is expected to rise to 1 billion users by the end of 2017. In fact, there’s been a 50% increase in small office/home subscribers between 2011 and 2015. However, the market growth is expected to steadily grow by around 10% from 2016 to 2021. In 2011, 147 petabytes (this is a measure of memory or data storage capacity; a petabyte is 1,000 terabytes) of data were sent using VoIP communications platforms. By 2015, that number had risen to 156 petabytes of data. It’s expected to reach 158 petabytes in 2016.